THE XENA SCROLLS: An Opinionated Episode Guide (511 & 512) | THAT'S ENTERTAINMENT! Gabrielle and Argo are shrunken into miniature versions of themselves when they cross paths with Lachrymose, the god of despair. 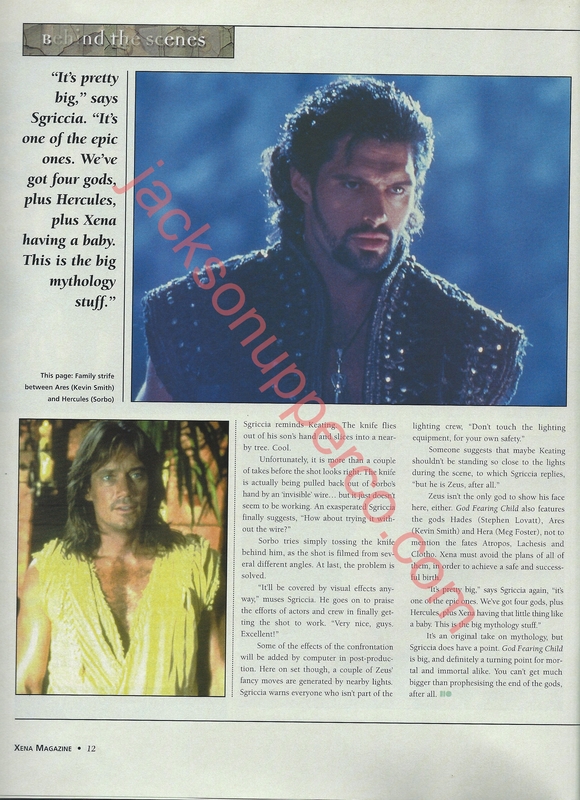 Here is an on-set report of the production of “Punch Lines” from Titan: The Official XENA Magazine, Issue #3. I featured this episode as #57 on my list of the 60 best episodes. Read my thoughts here. Here is a scan of an interview that writer/producer Chris Manheim gave on “God Fearing Child” for The Chakram Newsletter: #11. Here is an on-set report of the production of “God Fearing Child” from Titan: The Official XENA Magazine, Issue #5. Pingback: Following XENA: The Twilight of the Gods (V) | THAT'S ENTERTAINMENT! Hi, I came across this episode guide while watching some reruns recently and just wanted to say it’s one of the best things anyone has ever done on the internet. Hi, internetperson! Thanks for reading and commenting. I’m glad you’re enjoying these posts. This was a labor of love, and I’m most appreciative of your kind words. Stay tuned for XENA’s return to this blog starting in August!